This year's Hispanic Festival promises to deliver the same diverse food, music, and dances that have made it a success in the past. 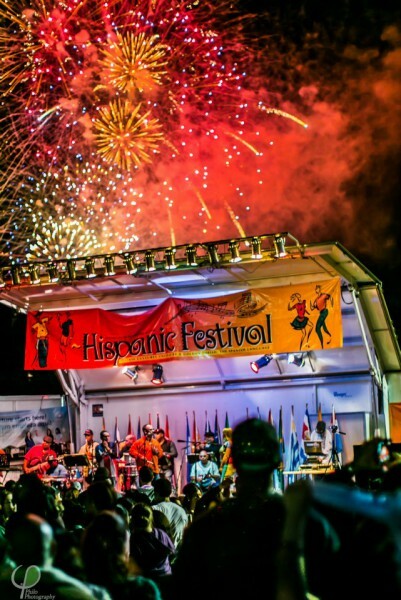 The Hispanic Center of Western Michigan is holding its 37th annual Hispanic Festival September 5th and 6th in Calder Plaza, Downtown Grand Rapids. The event will run from 11:30 am to 11:30 pm on both days, and is free and open to the public. Interim Executive Director Carlos Sanchez agrees. This year, guests can expect diversity in taste and sound. The schedule of events will have music from Mexico to Guatemala, with styles that include electronic dance music, cumbia, salsa, Mexican bandas and mariachi singers. Visitors can expect to enjoy food from Puerto Rico, Mexico, the Dominican Republic and Guatemala. Tex-Mex will also be available. New events on the schedule include a futsal tournament (a fast-paced version of soccer that involves fewer players, a hard court and smaller ball) and monarch butterfly release, weather permitting. The Grand Rapids Public museum will showcase different artifacts and articles of clothing, illustrating the ways Hispanic cultures have helped shape the West Michigan community. Learn more about the Hispanic Center of Western Michigan and their work in the community by visiting their website or thier facebook page.